Assemble the circuit on a Perf board. Connect circuit to a fully charged battery having 13.8 V or to a Variable power supply set at 13.8 V. Slowly adjust Preset till Relay turns on and Green LED lights. This is the cutoff point. Remove circuit and connect to the discharged battery. 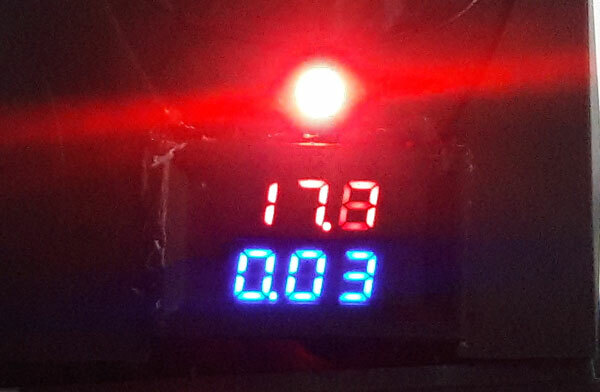 Red LED lights indicating the charging process. Check the output voltage between NC contact of relay and ground. It will be around 15 V DC. Relay remains de energized during charging. When the battery voltage increases above 13.8 V, relay turns on and breaks the charging current from the common pin of Relay. This stops charging. 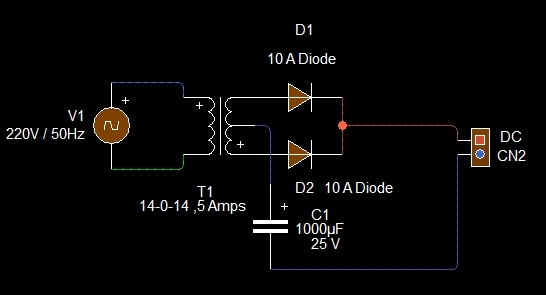 Yellow LED lights when the circuit is connected to battery. This helps to see whether the battery clips are properly connected to the battery or not.